n.p., n.d.. 13" x 16". "NEC Main Expansion Cabinet, 13? x 16? x 2.5?, with eight empty slots for DX2NA Nitsuko 4ATRU Analog Trunk Cards and 8DSTU-S1 8 port Digital Station Cards. The 9.5? x 5? Nitsuko/NEC DX2NA-EXIFU-S1 Expansion PCB card is present as is the 7? x 3.25? x 2.75? 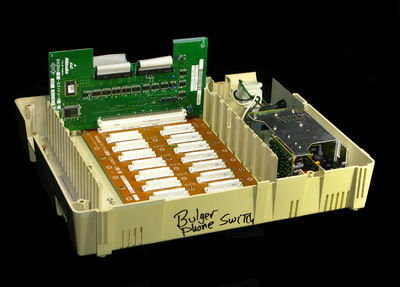 Power Supply DX2E-32M manufactured in Korea in May 2002 by Sanken Electric Co., Ltd. Written with black marker on one side of the cabinet: ?Bulger / Phone Switch.? ?Fugitive South Boston gangster James ?Whitey? Bulger, wanted for 19 murders, was captured last night in Southern California, the result of a tip from FBI television spots that began airing this week,? reported Shelley Murphy in the ?Boston Globe? on June 23, 2011. In part, ?His capture ended a 16-year manhunt that spanned the globe. Richard DesLauriers, special agent in charge of the FBI?s Boston office, and Steven Martinez, assistant director in charge of the FBI?s Los Angeles office, released a statement this morning confirming that FBI agents had arrested the fugitive, who was on the bureau?s Ten Most Wanted list, and his companion, Catherine Greig, in California. Neither resisted arrest. Cash and guns found hidden in the apartment were seized, police confirmed. ?Recent publicity produced a tip that led agents to a residence in Santa Monica, California, where they located Bulger and Greig Wednesday evening,? the statement said...?Bulger fled just before his federal racketeering indictment in January 1995. It was later revealed in federal court in Boston that he was a longtime FBI informant who had been warned by his corrupt handler, former FBI agent John J. Connolly Jr., that he was about to be arrested. Betrayed by the revelation that Bulger was an informant, several of his former associates began cooperating against him, leading to the discovery of secret graves of his victims in the Boston area and additional charges that Bulger murdered 19 people ... On Monday [June 20th], the FBI announced that after years of focusing on Bulger, it was launching a new initiative aimed at daytime TV viewers. It began airing a 30-second public service announcement in 14 cities across the United States urging people to be on the lookout for Greig, a dental hygienist who was devoted to her appearance, had plastic surgery in the past, and frequently had her hair cut and teeth cleaned. The spots aired during daytime shows, including, ?Ellen,? ?The View,? and ?Live with Regis & Kelly.? ?Letter of Provenance, in part, from the C.E.O. of Boston Commodities International: ?We are recyclers of electronic waste for precious metals value and we broker bullion. We have several contacts with private and government agencies for electronic disposal. At the beginning of February 2012 we received a load of scrap metal from a company we collaborate with and were advised that the product was old equipment from the FBI. Once we received the product at our dock we noticed that it was four pallets of old surveillance and wire tapping equipment. When we started to get into the pallets we noticed two modified phone switches that had written in black magic marker ?Bulger phone switch?. Me and my partner looked at each other and commented that this was used in the surveillance and building of the case against Whitey Bulger...? ?Boston Globe? reporters Shelley Murphy and Maria Cramer wrote in ?Whitey in Exile,? on October 9, 2011, that ?the FBI never stopped looking for Bulger. But after the FBI publicly admitted in 1997 that Bulger had been its longtime informant ?" confirming what the ?Globe? had reported nine years earlier ?" many questioned whether the agency really wanted to catch him. That year, the FBI brought in other law enforcement agencies, creating a task force that once averaged about a dozen agents, officers, and analysts assigned full time to tracking Bulger ... Though the FBI has declined to say how much the manhunt cost, [Charles ?Chip?] Fleming, the retired Boston police detective who served on the task force until 2003, said it was easily the most expensive in FBI history...?On June 30, 2011, a federal judge granted a request by prosecutors to dismiss racketeering charges brought against Whitey Bulger in 1995, saying it was ?very much in the public interest?? that the 81-year-old stand trial in a later case charging him with 19 murders. The Associated Press reported on Monday, February 13, 2012, in part, ?The trial for reputed gangster James ?Whitey? Bulger will be November 5 ... Earlier in the day, lawyers for Bulger told a judge they need at least another year to go through ?a tsunami?s worth? of evidence provided by prosecutors, including more than half a million documents and nearly 1,000 tapes. ?On June 12, 2013, Bulger went on trial for 32 counts of racketeering, money laundering, extortion, and weapons charges; including his complicity in 19 murders.On August 12, 2013, he was found guilty on 31 counts, including both racketeering charges, and was found to have been involved in 11 murders." GÃ¶ttingen: Steidl, 2002. First edition, as stated.. 4to. (11 x 11.5 inches). Unpaginated. Colour plates. Cloth with laminated photo illust laid on. No inscriptions. Contents clean and bright. Binding square and firm. Plates unmarked and flat. A Fine copy. We reduce the default shipping charge for lighter books or use it for a tracked service if books are expensive or uncommon. We pack books securely in boxes, or corrugated card or cardboard, and protect corners with bubble-wrap. Bern: Ertug & Kocabiyuk, 2002. No. 46 OF 50 SPECIALLY BOUND COPIES (of a total edition of 350) n. Hardcover. A Massive Facsimile with Sweeping Views. 670 x 508 mm (26 3/8 x 20"). 3 p.l., 10 pp.,  leaves. No. 46 OF 50 SPECIALLY BOUND COPIES (of a total edition of 350). Publisher's scarlet morocco by Buchbinderei Burkhardt AG, covers with gilt-rolled border, cornerpieces tooled in gilt, upper cover with gilt calligraphic Arabic centerpiece, lower cover with gilt central heraldic device, marbled endleaves, all edges gilt. With a portrait frontispiece of Emperor Selim III, 48 DOUBLE-PAGE PLATES, AND THREE DOUBLE-PAGE MAPS. A virtually as-new copy. 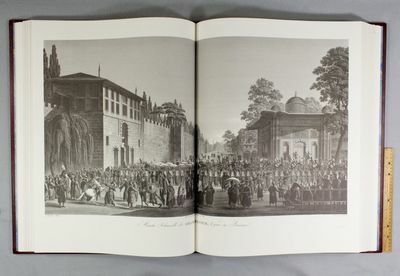 This is one of the deluxe copies of a modern facsimile of Melling's massive and magnificently illustrated work devoted to 18th century Constantinople, a book that provided the earliest interior views and plans of the harems and palaces of Sultan Selim III when it was published in 1819. The illustrations remain the best (and certainly most attractive) record we have of the city during this era in its history. Our edition was produced from a copy of the elephant folio first printing in the collection of the facsimile's publisher, Ahmet Ertug, with images faithfully reproduced in their original mammoth size (650 x 970 mm.). In 1795 architect and painter Antoine Ignace Melling (1763-1831) arrived in Constantinople and was soon appointed imperial architect by Selim III. In the course of his duties, he designed and landscaped a seaside palace for Selim's sister, Princess Hatice, and produced these striking panoramic views of the city and its environs. After completing a number of building projects for Selim, including Princess Hatice's palace, he returned to Paris and in 1804 issued a prospectus for this work. He established an engraving studio in 1809 to reproduce these drawings and began publishing the completed prints as a series of fascicles that were sent to subscribers. The last one appeared in 1819. The outstanding success of an exhibition of the paintings on which the "Voyage Pittoresque" was based earned Melling the rank of painter to the Empress Josephine. When "Voyage Pittoresque" was originally published, booksellers in England sold copies for 80 guineas (£84), a huge sum for a book at the time. 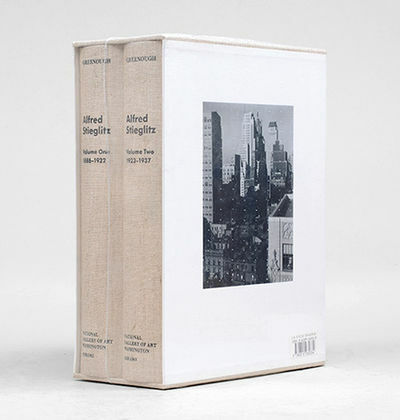 The book in pleasing condition now fetches between $75,000 and $100,000. 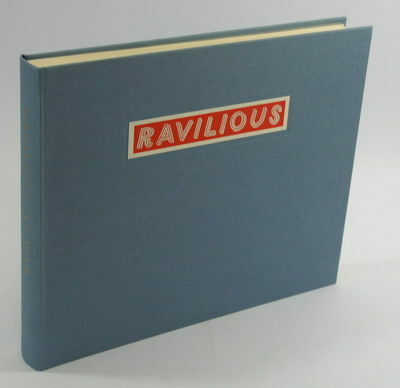 Our handsomely bound facsimile offers an attractively priced alternative. New York: Harry N. Abrams, Inc.,, 2002. 2 vols, quarto. Original grey cloth, titles to spine in black. With the slipcase and original packing box. A fine copy. First edition, first printing. Upper Denby: Fleece Press. VG+. 2002. First Edition. Hardcover. 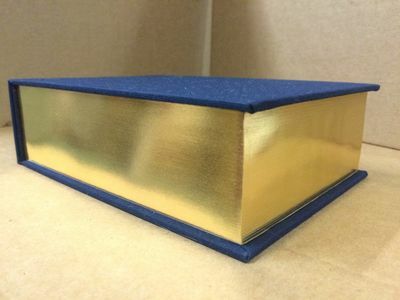 Bluye cloth boards with gilt titles on spine and printed paper label to upper board, base of spine slightly bumped, internally clean and bright, illustrated with 150 colour plates. , 10" by 12", 283 pp . Seattle: Ouroboros Press, 2002. First Edition. Full Vellum Binding. Fine. First Limited Edition. Bound in full vellum with gilt titles and device to front, device also on back. Spine with 6 compartments and 5 raised bands with red leather label with gilt title to second compartment. Marbled end papers, maroon page ribbon marker. Numbered as ?"0?". A very small number of the first edition were bound in vellum. 174 pages. Bound by Ars Obscura Bookbinding in Seattle. 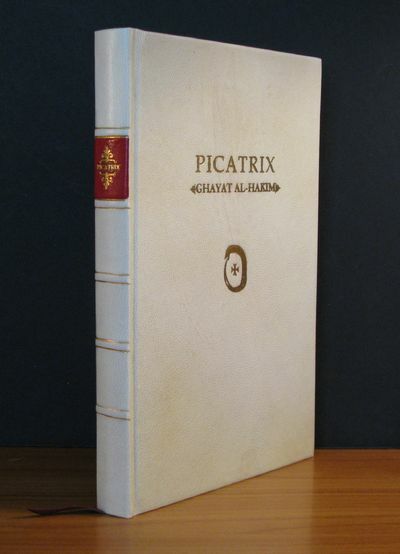 The Picatrix has long been regarded as source material in the Hermetic tradition. The text of this Medieval work consists of four books covering the art and practice of Astrological, Talismanic and Astral Magic. The author has compiled information derived from 224 books by ? "ancient sages?" (Hermes, Plato & Aristotle and others, known and unknown) with the intention of uniting all these diverse arts into a practical system. This Ouroboros Press edition is a translation based on the medieval [circa 10th century] Classical Arabic as opposed to the later Renaissance Latin translation. The Warburg Institute originally published the Arabic, German, and Latin editions which are often referred to by scholars and remain the only academic editions extant. Volume one of the Picatrix contains the first two books and are here translated into English for the first time. Some very light wear to vellum on front cover otherwise a fine copy. The vellum is nicely toned, aging quite well. Paris: Norma Editions, 2002. 1st . Hardcover. New/New. 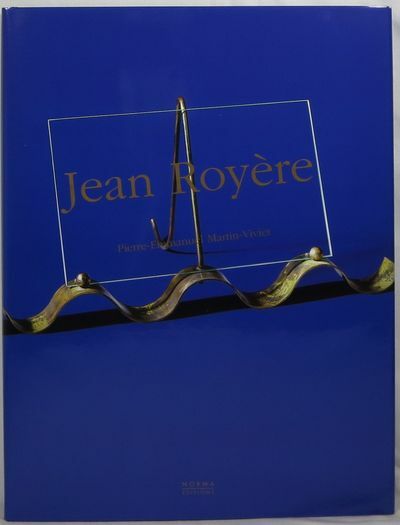 Jean Royere (1902-1981) was a key figure of the Avant-garde in the 1950s. He tackled all kinds of decoration work and opened branches in the Near East and Latin America. Royere pioneered an original style combining bright colors, organic forms, and precious materials within a wide range of imaginative accomplishments. This monograph has approximately 350 color and black&white illustrations. Text in French. 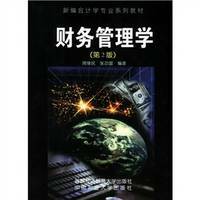 Changchun Publishing, 2002-07-01. paperback. New. Ship out in 2 business day, And Fast shipping, Free Tracking number will be provided after the shipment.Language:Chinese.Detective Conan 20th Anniversary Edition Serial Collection (Set 1-84 volumes) Satisfaction guaranteed,or money back. Madrid, capital de un reyno. La villa y corte en tiempos de Felipe II Traducción, adaptación y notas por Francisco Calero. Introducción por Valentín Moreno. 2002. Guillermo Blázquez, Editor. 2002 - T. Artesanos de José Luis Torreblanca. Madrid. 750 ejemplares publicados. Ej. 197. 2 Vol. . Vol.I(XXXI + 134pp.) Vol.II(66 hojas). Folio. Ante. Bibliografía / Bibliofilia (Bibliofilia general, Facsímil), Historia de España (Siglo XVI), Local España (Madrid) . Obra que reúne cinco interesantes textos relacionados con el Madrid de Felipe II. Magnífica edición de bibliofilia, profusamente ilustrada y arropada en una hermosa encuadernación en plena piel con gofrados y dorados en tapas y lomera. Edición de 750 ejemplares. .
Luzern, Faksimile Verlag, 2002. Hier verkaufen wir das Faksimile des wertvollen und äußerst seltenen Buches von Lindisfarne (The Lindisfarne Gospels), Handschrift Cotton MS Nero D. iv der British Library, London. Der Faksimile Verlag Luzern schuf 2002 in aufwändiger Handarbeit lediglich 980 Exemplare, wovon 290 Exemplare (1-290) mit einem getreuen Replikat des viktorianischen Originaleinbandes ausgestattet sind. Es ist weltweit das einzige komplett erhaltene Evangeliar aus dem insularen Raum! - Detailsbeschreibung: Angebotsumfang: Faksimile + 2 Kommentarbände + Lederschatulle + Videokassette; stammt aus sehr gepflegtem Nichtraucherhaushalt; gedruckt im Jahr 2002; ungelesenes Stück, was Sie beim Öffnen bemerken werden; absolut verlagsfrischer Zustand; Buch wird aufbewahrt in orig. schwarzer Schatulle; streng limitiert auf 290 Exemplare; Exemplar trägt Nr. 130; Kommentarbände ebenfalls im verlagsfrischen Zustand (nur Schutzschuber weisen kleine Lagerspuren auf); einer der geheimnisvollsten Kunstschätze und mystisches Zeugnis frühen irischen Christentums; wunderschöner Samteinband; Buchrücken aus Samt ziert erhabene Stickerei, bei der jeder Silberfaden einzeln von Hand aufgenäht wurde; schwerer, wunderschöner Prunkdeckel mit Schmucksteinen (teils echte Steine); Buch im Originalformat von ca. 340 x 245mm; 259 Folios (518 Seiten); 5 außergewöhnliche Kreuzteppichseiten; Folge prachtvoll gestalteter Kanontafeln über 16 Seiten; großen Initialen erstrecken sich teils über die ganze Seite; über 200 weitere, farbig ausgefüllte Anfangsbuchstaben; 4 Evangelistenportraits; alle Blätter, dem Original entsprechend, randbeschnitten und von Hand geheftet - Das Buch von Lindisfarne entstand um 800 auf dem Höhepunkt irischer Mönchskultur, als irische Klöster einflussreiche kulturelle und geistige Zentren Europas bildeten. "Holy Island" wird die kleine Landzunge vor der Küste Northumbriens genannt, auf der um 635 das Kloster Lindisfarne gegründet wurde. Cuthbert, ein bereits zu Lebzeiten und heute immer noch hochverehrter Heiliger, lebte lange Zeit als Einsiedler in der Nähe der Abtei, ehe er Bischof von Lindisfarne wurde, sich aber schon bald wieder in die Einöde zurückzog. Von seinen Wundertaten und seinem vorbildlichen Lebenswandel berichtet uns der berühmte Gelehrte Beda Venerabilis in zwei von ihm verfaßten Viten. Nur wenige Jahre nach seinem Tod am 20. März 687 wurde Cuthbert bereits heiliggesprochen, und in seinen Mitbrüdern reifte der Wunsch, ein besonders prächtiges Evangeliar zum Gedächtnis des heiligen Mannes zu schaffen: das Buch von Lindisfarne. Aus diesem frommen Wunsch ist ein einzigartiges Meisterwerk der Buchkunst entstanden. Die Mönche verehrten das Evangeliar wie eine Reliquie, dem Kunsthistoriker und Paläographen ist es in seinem unermeßlichen Reichtum ein Fundament für die weitere abendländische Kunstentwicklung überhaupt, der Sprachwissenschaftler findet in ihm die älteste Übersetzung der Evangelien aus dem Lateinischen ins Altenglische und die Kuratoren der British Library hüten das Buch von Lindisfarne heute wie einen Staatsschatz. Trotz seines hohen Alters von beinahe 1300 Jahren befindet sich das Buch von Lindisfarne in einem außerordentlich guten Zustand, es ist sogar weltweit das einzige komplett erhaltene Evangeliar aus dem insularen Raum. Auf 259 Folios im Format 340 x 245mm aus sorgfältig verarbeitetem Kalbspergament enthält es den lateinischen Text der vier Evangelien in der Vulgata des heiligen Hieronymus. Jedes der Evangelien wird durch eine einleitende Erklärung, ein Kapitelverzeichnis und einen liturgischen Festtagskalender eröffnet. Zusätzlich gehen drei Vorreden, angeführt vom Brief des Hieronymus an Papst Damasus, dem eigentlichen Text voraus. Eine Folge prachtvoll gestalteter Kanontafeln, die sich zum ersten Mal über 16 Seiten ausdehnt, eröffnet das Buch. Dem Mönch Eadfrith, der kurz nach der Heiligsprechung Cuthberts Bischof von Lindisfarne wurde, ist nicht nur die vollständige Abschrift des Evangelientextes in einer besonders schönen insularen Majuskel zu verdanken, sondern zugleich die gesamte künstlerische Ausgestaltung des Evangeliars. Eine Inschrift im Buch von Lindisfarne aus dem 10. Jahrhundert nennt neben Eadfrith noch seinen späteren Nachfolger im Amt AEthelwald als Buchbinder und den Einsiedler Billfrith als Goldschmied für den Einbandschmuck. Damit wissen wir über die Herstellung dieser Handschrift mehr als über die meisten Handschriften des Mittelalters. Fünf außergewöhnliche Teppichseiten präsentieren die ganze Palette insularer Ornamentik in all ihrem atemberaubenden Farben- und Formenreichtum. Kunstvoll in die Gesamtkomposition eingearbeitete Kreuzformen heben sich dank leuchtender Konturen plastisch aus dem dicht gewirkten Flechtwerk ab. Mit den Kreuzteppichseiten zu Beginn jedes Evangeliums und einer weiteren am Anfang des Buches ist eine ebenso reich gestaltete Incipitseite kombiniert. Die großen Initialen erstrecken sich über die ganze Seite. Dabei verschmelzen die bis ins kleinste Detail von fließenden Ornamenten und Mustern ausgefüllten Zierinitialen mit den unmittelbar folgenden Buchstaben zu kunstvollen Monogrammen. Über 200 weitere, farbig ausgefüllte und zum Teil rot umpunktete Anfangsbuchstaben gliedern darüber hinaus den gesamten Text. In den Kanontafeln und Evangelistenportraits des Buches von Lindisfarne verschmelzen die Einflüsse des mediterranen und keltischen Kulturkreises zu einem einmaligen Meisterwerk insularer Buchkunst. So wird der auf ein Vorbild aus dem Raum um Neapel zurückzuführende Text des Evangeliars in einer dem insularen Kulturbereich eigenen Majuskelschrift wiedergegeben und im hiberno-sächsischen Stil ausgestaltet. Die an süditalienischen Vorlagen orientierten Evangelistenporträts weisen neben mediterranen Einflüssen ebenfalls typisch insulare Züge auf. Am eindrucksvollsten wird die Verquickung dieser zwei Kunstrichtungen jedoch in den mit insularen Ornamenten und Flechtmustern verzierten klassischen Säulenarkaden der Kanontafeln. Erwerben Sie hier eine wahre Rarität. Das Werk ist absolut ungelesen! Alle Preise incl. MwSt., AGB, Kundeninformationen, Widerrufsbelehrung, Musterwiderrufsformular finden Sie bei unseren Anbieterinformationen..
China Agricultural University. Pub. Date :2002-02-01 version 2. paperback. New. Ship out in 2 business day, And Fast shipping, Free Tracking number will be provided after the shipment.Pages Number: 524 Publisher: China Agricultural University. Pub. Date :2002-02-01 version 2. 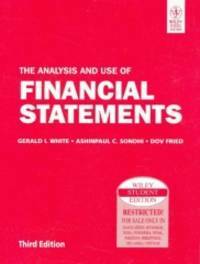 Contents: Chapter 1 General remarks Section II the concept of financial management. corporate organization and financial management objectives of the third quarter financial organization Section V of financial management. financial management. the concept of environmental evolution of the financial management section VI of Chapter 2 of the time thinking about questions of value and time value of risk ... Satisfaction guaranteed,or money back. Guildford: Genesis Publications 2002, 2002. With Forewords by Paul McCartney and Ringo Starr. LIMITED EDITION, Collector Issue, Signed by Sir George Martin. Quarto, pp.327, bound in quarter black leather over buckram sides, chromium nameplate, silver page edges and tooling. 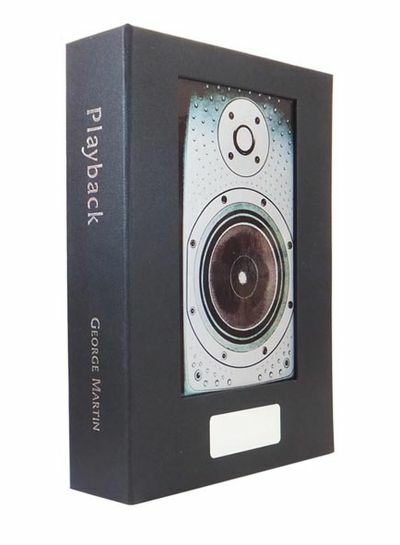 With exclusive music CD recorded for this publication, housed in a custom-made clamshell box designed to resemble a loudspeaker. Fine/as new. In 1962, as head of Parlophone Records, George Martin signed a new band from Liverpool that had been turned down by nearly every other label in Britain. The rest is history. He went on to record every track made by The Beatles and is considered to have been a vital influence on their sound, enabling them to realise their ideas as their music became increasingly ambitious. The world's most successful music producer has now written a charming memoir of his life and career. Now fully subscribed, this is a Genesis 'Hall of Fame' title. London: Harper Collins,, 2002. Octavo. Original black boards, titles to spine gilt, yellow and tan endbands, tan endpapers. With the dust jacket. 8 plates. An excellent copy with some minor smudges to edges; in the jacket with small closed tear to head of front panel. First edition, first impression. 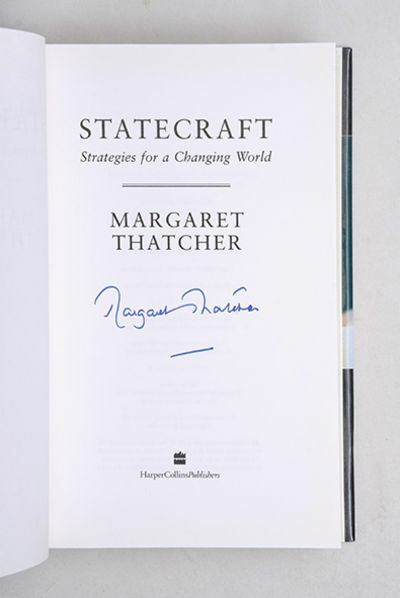 Signed on the title page by Margaret Thatcher. Friedrich Seidenstücker., Spaziergänger / Photograph. (Hamburg): Edition Griffelkunst, 2002 - Faltblatt (3-fach) m. 5 S. Text u. s/w-Fotos; 6 s/w-Original-Fotografien / 6 original photographs in b/w. Friedrich Seidenstücker, 1882 - 1966, Fotograf überwiegend in Berlin. - Die Fotografien wurden hergestellt vom Originalnegativ aus dem Nachlass Seidenstücker, Bildarchiv Preußischer Kulturbesitz. Einmalige Auflage für die Griffelkunst Hamburg, 2002. Verso mit Druckvermerk der Edition Griffelkunst. Blattmaße 30,5 x 24,0 cm, die Fotos 25 x 19 cm, tls. etw. abweichend. - Flügelmappe, Begleittext u. Fotos in sehr gutem Zustand. - Mint condition. A/O3 - Please ask for detailed information in English / Demandez des détails en francais s.v.p. Sprache: Deutsch Gewicht in Gramm: 500 4°; Orig. Halbln.- Flügelmappe m. Verschlußbändern u. mont. Titelschild. 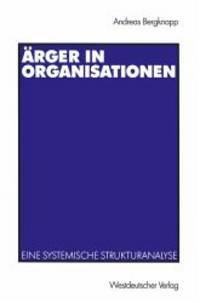 Franzis Verlag GmbH 2002. CD-ROM - Sehr schönes, innen wie außen sauberes Exemplar. Gelesene Ausgabe in hervorragendem Zustand. Seiten sind intakt und weisen weder Notizen noch Unterstreichungen auf. Der Buchrücken zeigt keinerlei Knicke oder andere Gebrauchsspuren..
Markt+Technik 2002. 404 S. Taschenbuch - Sehr schönes, innen wie außen sauberes Exemplar. Ungelesene Ausgabe in Topzustand. Buchrücken und Schutzumschlag sind unbeschädigt. Seiten sind sauber und weisen weder Notizen noch Knicke irgendwelcher Art auf. Der Artikel wurde zur Aufhebung der Buchpreisbindung verlagsseitig als Mängelexemplar gekennzeichnet.. 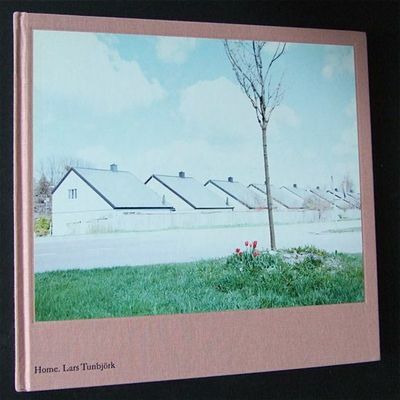 List Hardcover, 2002.. 182 Seiten Gebundene Ausgabe. Cerebral Blood Flow and Metabolism. Periodicals. Bindlach : Gondolino, 2002.. unpag. . : überw. Ill. Gr.-8°, Pp. Gut erhaltenes Exemplar. 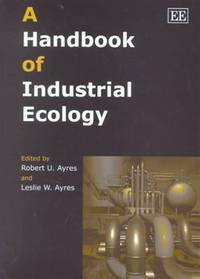 K18935 ISBN 3811219758. (Werkkassette). 80 reproduzierte Zeichnungen (1960-2000) und 26 Fotos von Plastiken (1985-2000) von Markus Raetz. The Domain of M.R. as seen by Jennifer Gough-Cooper November 1999. Ah-oh, Text von Andreas Meier zu den Wortmetamorphosen und Spracharbeiten. 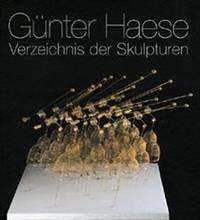 80 dessins reproduits (1960-2000) et 26 fotos de sculptures (1985-2000) de Markus Raetz. The domain of M.R. as seen by Jennifer Gough-Cooper November 1999. Ah-oh, les mots metamorphoses et les travaux linguistiques par Andreas Meier. Biel, Centre Pasquart. Bern. 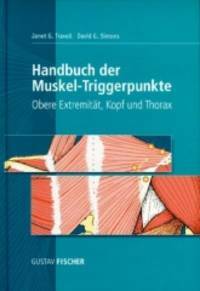 Stämpfli Verlag. 2002.. 33,5x24 cm. 146 Bl. Mit 124 farbigen und 50 s/w. Abbildungen und 2 Holzklötze. In schwarzer Originalkassette mit bedruckter Bauchbinde.. Originalausgabe. - Die beiden Holzklötze von Markus Raetz signiert und gewidmet an Peter Lauri, Berner Fotograf, der für die Ausgabe die Fotos realisierte. Mit einem ganzseitigen handschriftlichen Brief des Künstlers an den Widmungsempfänger vom 1. April 2002. - Kassette mit Lichtrand, verursacht von der Bauchbinde. die Bauchbinde im Falz etwas berieben. Lübbe, 2002.. 299 Seiten Taschenbuch. 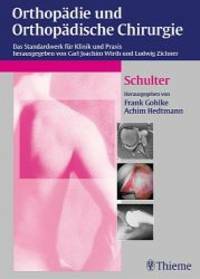 Weltbild Augsburg, 2002.. 316 Seiten Kl.-8°, Softcover/Paperback Gut erhaltenes Exemplar., K19027. Arte Cisoria. Tratado del arte de cortar del cuchillo Texto modernizado y notas por Francisco Calero. Introducción por Valentín Moreno. 2002. Guillermo Blázquez, Editor. 2002 - T. Artesanos de José Luis Torreblanca. Madrid. Col. Los Códices Soñados. 6.000 ejemplares publicados. Ej. 2.044. 2 Vol. . Vol.I(XXXII + 124pp.) Vol.II(64 folios). Folio. Ante. Bibliografía / Bibliofilia (Bibliofilia general, Facsímil), Gastronomía / Enología / Apicultura / Micología . Tratado gastronómico de carácter alegórico y didáctico escrito por uno de los más grandes sabios y escritores bajomedievales españoles Enrique de Villena , escrita en 1423 y publicada por primera vez en el año 1766. Esta nueva edición facsímil, con texto modernizado y notas de Francisco Calero, es una magnífica edición de bibliofilia, profusamente ilustrada y arropada en una hermosa encuadernación en plena piel con gofrados y dorados en tapas y lomera. Edición de 750 ejemplares. .
NEUE MAINZER STRASSE, Frankfurt am Main. FINE ART PRINT aus dem Projekt: Die Strassen von Frankfurt. : RM-Buch- und Medien-Vertrieb, 2002.. Ungekürzte Lizenzausg. 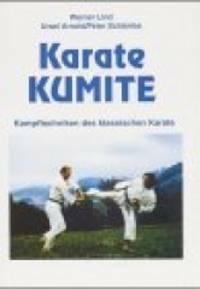 198 S. ; 20 cm Kl.-8°, Hardcover/Pappeinband Gut erhaltenes Exemplar. K19010. 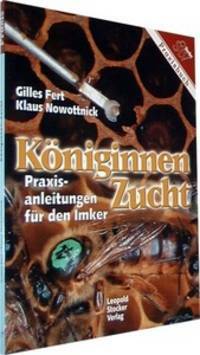 Egmont Horizont Verlag, 2002.. unpag. 8°, Hardcover/Pappeinband Gut erhaltenes Exemplar., Einband mit kleinen Mängeln K19191. Portland, Maine:: Rebecca Goodale,, 2002.. Edition of 5. 11.5 x 7.25 x 1"; 5 two-page spreads. Star carousel book construction. Handcolored silkscreen prints. Bound in purple silk cloth with tipped on illustration. Linda J. Docherty, Catalog of the Exhibition, Catalog of the Exhibition: Threatened and Endangered: Artists&#39; Books Created by Rebecca Goodale, 2004:&#11;"Because human encroachment on nature more often takes place incrementally, the damage may be done before the consequences are clear. Goodale&#39;s Northern Blazing Star anticipates a future in which species survival depends on artificial recreation of natural patterns. This star book focuses on Maine&#39;s last grassland, the Kennebunk Plains, home to the grasshopper sparrow, upland sandpiper, black racer, and Northern blazing star. The latter, a rare plant pollinated by yellow butterflies, depends on fire to preserve the character of its habitat. Under normal conditions, lightning would kindle the necessary fire, but the grassland&#39;s shrunken size has made nature an unreliable source. Controlled burning now takes place here in three-year cycles, managed by humans in yellow fireproof suits that aptly match the butterflies. Goodale presents a colorful seasonal narrative of conservation and also compensation for what we have done to nature. Munchen: Schirmer Mosel , 2002. First edition. Oblong hardcover. Number 93 of only 100 copies. Text in German. Includes 180 duotone plates. A fine copy of the book in a close to near fine dust jacket with a scratch to the rear panel and housed in a lightly soiled slipcase. Chemise with the original photograph, "Monceau Fountaine No. 18, Charleroi, Belgien, 1975" is in fine condition. The print, which is signed by both Bernd and Hilla Becher on the verso in pencil, is also in fine condition. The image itself measures 7.125" x 9.75. "An affordable way to obtain a photograph by the Bechers, whose images can sell in the tens of thousands of dollars.